These are the Outdoor Pools in Florida other users have reported. Are you a local and your pool is not listed? Contact us to ADD IT. It is free of charge! Please check the nearest Pools or Contact us to ADD IT. It is no cost! There are regularly discounts available to senior citizen and small youngsters. Find out by contacting your nearest pool in Florida. Looking for Outdoor Pools in Florida? Numerous of them belong to gyms or sport centers which also supply lessons. Traveling to Florida? This is the right spot on the net to find places to swim in Florida. Each day you happen to be not swimming you might be losing precious time to improve your abilities a be a far better swimmer! No even more excuses!. Please, use the contact information provided at every single pool profile. Without a shadow of a doubt, swimming in Miami may be the ideal way to unwind right after work. 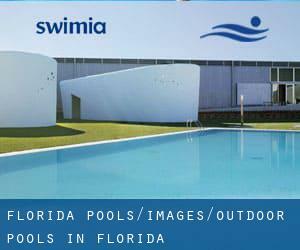 Take a couple of minutes to browse Swimia's catalog to find a Pool in Miami. Holding an estimated population of 821.784, Jacksonville is one of the most important cities in Florida. Check all the Swimming Pool in Jacksonville and its surrounding region. Let us tell you a secret to switch off while you might be in Saint Petersburg: just pick out a Swimming Pool in Saint Petersburg and plunge into the water! There's no a lot more powerful method. Updated on 2019 3000 N.E. 151st Street , North Miami , FL , USA (Postal Code: 33181). Swimmers like you reported Olympic size x 25 yards, 9 x 20 lanes, Outdoors. Unfortunately we do not have the email address of this Swimming Pool, but we can give you the phone number. Updated on 2019 11th St. and Jefferson Ave. , South Beach , Miami Beach , FL , USA (Postal Code: 33139). Among all of the activities supplied by the center, for anybody who is interested in swimming you will take pleasure in 25 yards, 8 lanes, Outdoors. Just in case you need to contact this Swimming Pool prior to dropping by, we only know the phone number. Updated on 2019 607 Ponte Vedra Boulevard , Ponte Vedra Beach , FL , USA (Postal Code: 32082). Among all of the activities offered by the center, in case you are enthusiastic about swimming you will take pleasure in 25 yards, 6 lanes, Outdoors. If you need to make contact with this Swimming Pool, e-mail address and phone number are both number. Updated on 2019 1250 Old Dixie Highway , Vero Beach , FL , USA (Postal Code: 32960). This sports center delivers 25 meters, 4 lanes, Outdoors. Contact knowledge for this Swimming Pool such as phone number and e-mail address are number. Updated on 2019 148 Oviedo Boulevard , Oviedo , FL , USA (Postal Code: 32765). Swimmers like you reported Olympic size x 25 yards, 8 lanes x 22 lanes, 1.2 meters - 2.4 meters depth, 1.2 meters - 2.4 meters depth, Outdoors. Phone number and e-mail address are number for this Swimming Pool. Updated on 2019 280 Vanderbilt Beach Rd. , Naples , FL , USA (Postal Code: 33963). This sports center gives 25 yards, Outdoors. For this Pool, only phone number is number here. Updated on 2019 3500 Morningside Blvd. , Port Saint Lucie , FL , USA (Postal Code: 34952). Swimmers like you have reported 24 yards x 36 feet, 6 lanes, Outdoors. Also, you will find 137 feet x 40 feet, Outdoors. If you should contact this Swimming Pool, email address and phone number are both number. Updated on 2019 4015 Anthem Pkwy., Ave Maria, FL 34142. This sports center provides 25 meters, 4 lanes, 6m depth, Outdoors. Contact facts for this Pool including phone number and email address are number. Updated on 2019 5819 Driftwood Pkwy. , Cape Coral , FL , USA (Postal Code: 33904). This sports center offers 25 meters, 6 lanes, Outdoors. For this Swimming Pool, only phone number is number here. Updated on 2019 2503 Seacrest Blvd. , Delray Beach , FL , USA (Postal Code: 33444). This sports center delivers Olympic size x 25 yards +25 meters, 16 (25 yards/m) lanes, Outdoors. For this Swimming Pool, only phone number is number here. Updated on 2019 5678 Irlo Bronson Memorial Hwy. , Kissimmee , FL , USA (Postal Code: 34746). This great and large sports center lets professional swimmers like you enjoy 70 feet, Outdoors. Additionally, within these facilities you can try 70 feet, Outdoors. Phone number and e-mail address are number for this Swimming Pool. Updated on 2019 1200 Epcot Resort Blvd. , Lake Buena Vista , FL , USA (Postal Code: 32830). This sports center gives 100 feet, Outdoors. For this Swimming Pool, only phone number is number here. Updated on 2019 On the Campus of the Community School of Naples , 13275 Livingston Rd. , Naples , FL , USA (Postal Code: 34109). This sports center delivers Olympic size x 25 yards, Outdoors. For this Swimming Pool, only phone number is number here. Updated on 2019 6640 Van Buren St. , New Port Richey , FL , USA (Postal Code: 34653). Among all the activities offered by the center, if you are considering swimming you can delight in 25 yards, 6 lanes, Outdoors. Just in case you want to get in touch with this Swimming Pool just before dropping by, we only know the phone number. Updated on 2019 1501 N. Australian Ave. , West Palm Beach , FL , USA (Postal Code: 33401). Among all the activities offered by the center, if you are considering swimming you may take pleasure in 25 yards x 23 meters, 8 lanes, Outdoors. Just in case you want to contact this Pool just before dropping by, we only know the phone number.